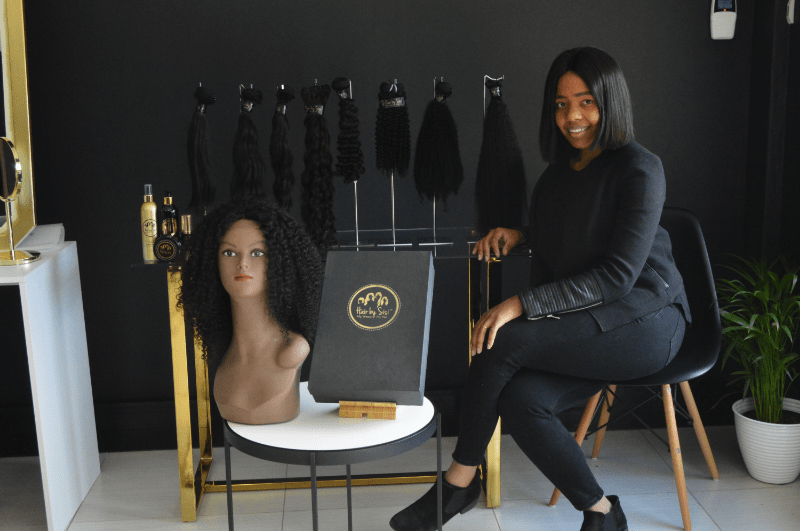 Hair by Sisi founder, Sisi Nxumalo, took a huge leap of faith when she quit her stable job to start her own business, but following her dreams paid off . At 29 years old, Sisi Nxumalo is running a successful business that started as a hobby after a bad hair experience. 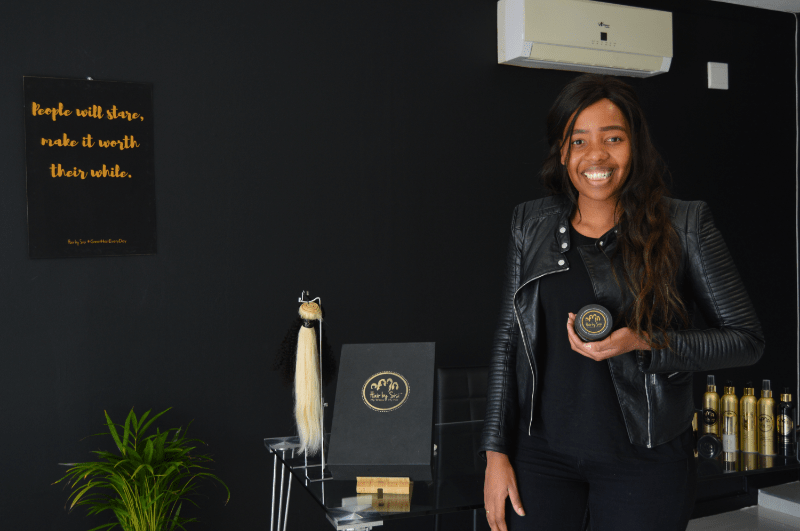 She started ‘Hair by Sisi’, a luxury virgin human hair brand, in 2014 with about R250, 000. Four years later the business has a turnover of nearly R1 million. The hair business specialises in weaves, wigs, hair extensions and hair care products. Sisi, who was born in KwaZulu-Natal and raised in Cape Town, moved to the ‘City of Gold’ – Johannesburg – six years ago after completing a degree in Politics, Media and Writing at UCT. But she soon realised that all that glitters (or in this case shines) is not gold. Sisi was duped into wasting thousands of rands by “professional” salons and hair sellers on what she thought was real virgin human hair weaves. “Not knowing anything about hair at the time, I bought hair in 2010 that cost over R3000, which back then was a lot of money for what I was sold. After wearing it for shorter than a month it started tangling, shedding and basically looking like a nest on my head. I had to carry around a brush in a bag. The bad hair experience lit something in her and her quest for great hair began. “It was from this dissatisfaction and my knowing that better quality hair existed, that my business was born. Because I have tested all the hair we sell, I know exactly what our hair can and cannot do. I named it after myself to give it my stamp of approval,” she says. Sisi started selling weaves to help ensure women had access to quality hair but it soon grew into something more. “I didn’t intend on starting a business, I was really following a hobby, which developed into a passion,” she says. Starting her own business was not an easy process. “Not going to business school or having any idea of how to run a business meant that I had to learn a lot, and I made a lot of expensive mistakes. I also struggled with cash flow, because we are in the retail business, to make money we have to sell hair, but to sell hair, we need to buy stock and without the money to buy stock, people aren’t that interested in waiting (unless they know the quality of our products and services),” she says. Before becoming an entrepreneur, Sisi worked in the digital media industry. Leaving her stable job to become an entrepreneur was a tough decision, but she left knowing that she was pursuing something greater. “In digital things are always changing. I knew my window of opportunity was small, so, I basically had to make it work because if I left, I probably would not be able to come back. So, I saved up a little bit of money before I left my job and took a huge leap of faith – along with a bit of planning,” she says. What started out as a hobby turned into something beyond Sisi’s wildest imagination. Hair by Sisi, which is based in Joburg, services customers from all over South Africa, including a few local celebrities. Her business might be helping women around the country look beautiful, but being an entrepreneur is not as glamourous as people think. “It’s awfully tiring but extremely rewarding. The funny thing is that nothing in life is glamorous. The final product looks glamourous but the work behind it isn’t… Entrepreneurship is also a very lonely journey. I have always worked with teams and other people, so I struggled, and still do sometimes, with the emotional and mental (health/strength) part of running my own business,” she says. The financial cost of starting a business can be scary, but Sisi says there are ways to turn your dreams into a reality and it starts with making sacrifices. “If you want to go on the holiday of your dreams, you usually have to save and plan for a bit before you go, right? The same can apply to starting a business. It’s not just going to come together out of nothing, you need to make compromises – maybe don’t eat out as much or spend so much on new clothes. I know this sound really silly but if you are serious about starting a business you have to make changes if you don’t already have the money lying around”. She says women who want to “get unstuck” from jobs they hate should not follow their passion blindly. Hard work pays off, and for Sisi nothing is as rewarding as seeing happy clients.